Mountain Home, AR (September 13, 2018) –- Brett King of Hager City, Wisconsin, is almost certain that he put more miles on his boat and motor this year than anyone else on the National Walleye Tour, but in the end his decision to put his Yar-Craft 219 TFX to the test proved worthwhile as he earned the circuit’s Angler of the Year title by 3 points. The 20-year veteran of the marine industry joined Yar-Craft this year as a regional sales manager with an eye on solidifying the brand’s presence in the Upper Midwest. In the end, his performance spoke for itself, and served to bolster Yar-Craft’s already sterling reputation for fishability, construction and rough water ride. While King’s overall performance was better than that of anyone else in the nearly 200-man field, his season had its share of speed bumps. Despite the varied obstacles, he finished in the top 10 in three of four tournaments, including a win, avoided bombs, and made critical daily and hourly adjustments. The circuit was scheduled to start on the Upper Mississippi River, “right in my backyard,” he said, but weather conditions forced a move to Lake Winnebago, a body of water that he called “my nemesis.” Nevertheless, he cashed a 10th place check and got the season off to a solid start. Next the field moved to Saginaw Bay, and that marked the first of the season’s series of brutally long runs, including 100-mile one-way pilgrimages that put his equipment to the test. “If anyone made longer runs that I did, I’d be very surprised,” he said. They proved worthwhile, thought, as he claimed the win. 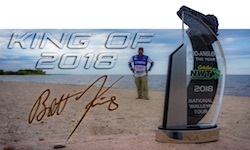 The third stop was at Devil’s Lake in North Dakota, and as the AOY leader King started to feel a little bit of pressure. Despite a solid strategy that included “Plans A, B, C and D,” his first day effort left him in 96th place. On Day Two, though, he mounted a massive comeback and climbed over 60 places. While ceding the AOY lead temporarily to Bass Cat/Yar-Craft Advertising Coordinator Joe Okada, he stayed within reach of the trophy, falling only to third. “I was back in the conversation,” he said. Okada ended the year in 3rd overall. The season concluded on Lake of the Woods, where a slot limit allowing only fish under 19 ½ inches or over 28 inches to be kept presented an additional challenge. “Both kinds of fish were at a premium,” King said, so he intended to fish conservatively, starting off with five solid 2-pounders before departing to find a big bite or two. He had the second biggest limit on Day One, including an “over,” which put him back in the AOY lead. That inspired him to take a risk on Day Two, leaving the shallows to chase a big bite early. “I caught one about 30 inches,” he recalled. “When that fish hit the floor and I saw that it was well over 28 inches, I knew I was going to fish tomorrow. It just got real.” He had the biggest bag of the tournament that day, but with eventual AOY runner-up Tom Kemos still in 12th place, King had to maintain 8th place or better to earn the title. On Day Three he once again gambled on an early over, but had to leave at 10:30 just to catch unders. He’d caught two between 27 and 27 ½ inches just before that, and was afraid that they would “pull me in” and lead him to self-destruct, so he ran about 8 miles and quickly put five small fish in the box. He felt that he needed 9 ½ pounds to be safe, and as fate would have it he was stuck on 9 pounds for what seemed like an eternity. “One of the things that I’m known for is patience, for grinding them out,” he said, but at 2pm he finally couldn’t stand it any longer and made a short move. Ten minutes later he caught a 2-pounder, putting him at or above 10 pounds, at which point he “packed up and headed home,” knowing that he would be crowned champion. King said that he could not have achieved this lifelong goal without the support of the Yar-Craft team and the quality of his boat. 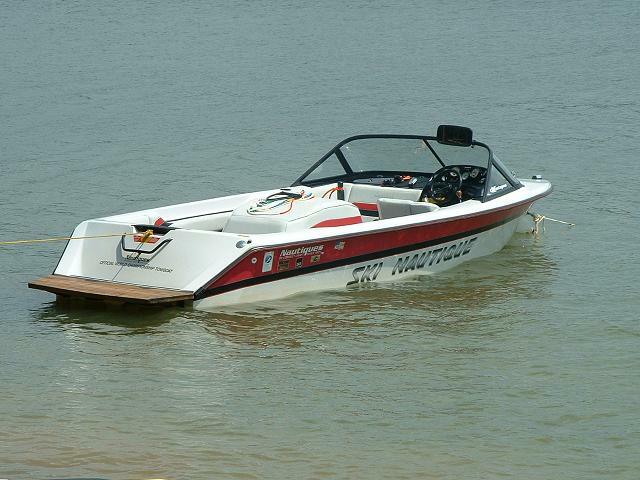 While the thrill of a superior season is still sinking in, King is already thrilled to be contributing to a new 219 TFX, to be seen at upcoming boat shows. He said it will build upon the features of the 219 TFX he ran this year, with a few updated touches.